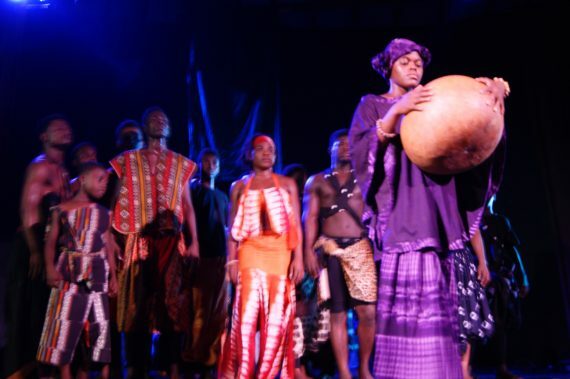 An international group of artists and academics last week presented a devised group work that portrayed issues relating to borders, checkpoints and language at the Noyam Theatre in Dodowa, near Accra. 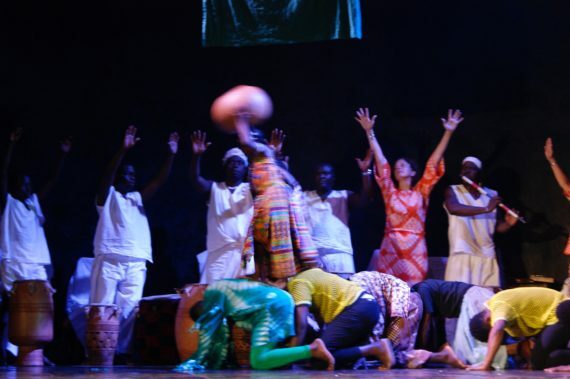 Titled “Broken Word, Broken World”, this impressive dance drama is visually stimulating with dancers engaging in highly expressive and imaginative movements that helped unfold the dilemma of language barriers and its effects on diverse activities. 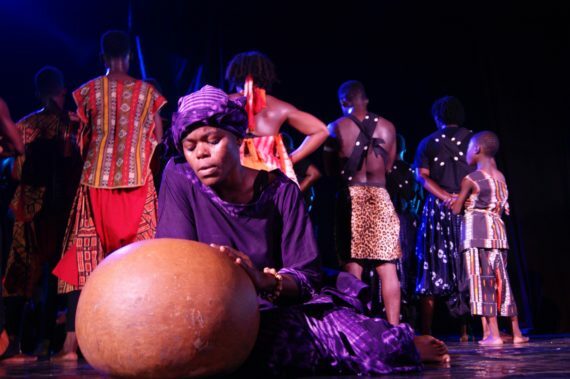 Employing elements of earth, water, fire and wind, the “language” of directors Gameli Tordzro (Scotland/Ghana), Tawona Sithole (Scotland/Zimbabwe) and choreographer Nii Tete Yartey (Ghana) is compelling and limitless – and was clearly visible through swift and subtle movements on stage. 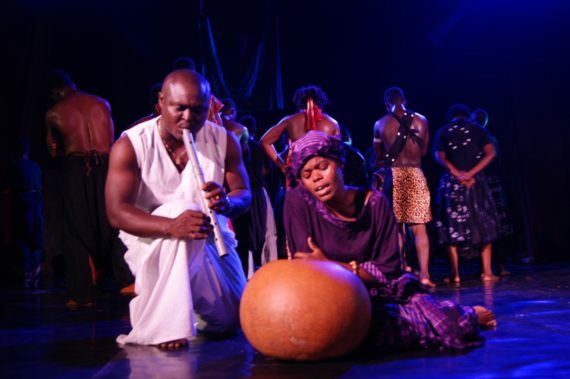 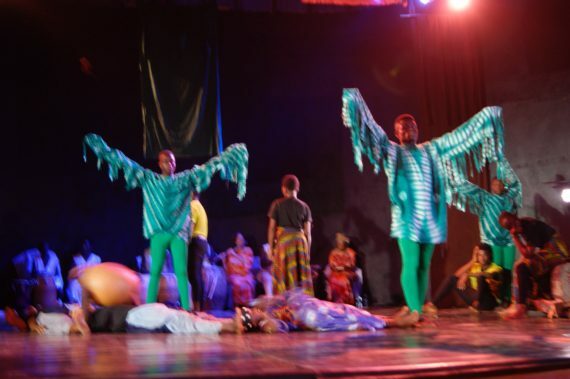 “This production is more than entertainment – it explores varied issues some of which border on traditions, values, beliefs and culture – it is an astounding artistic creation and I hope this collaboration continues in the years to come”, said Danny Clerk, a cultural journalist in Accra. 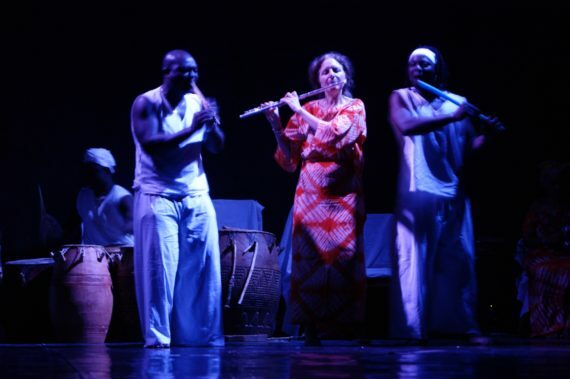 Accompanied by passionate and contemporary tunes from flute magician Dela Botri (Ghana), saxophonist Katrine Suwalski (Denmark), flutist Simon Winse (France/Burkina Faso), percussionists Sam Tachie / Alfred Tamakloe (Ghana/Denmark) and Kalimba player Clare Robertson (Scotland), the group put up a rather brave, bold and sophisticated performance that attracted the imagination of the audience. 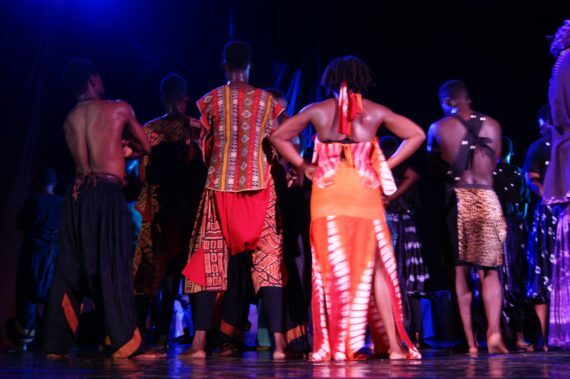 Interspersed with Ghanaian traditional dances such as Takai, Adzogbo, Kpanlogo, Fume Fume as well as Ewe / Akan drum accompaniments, the versatility of the young dancers was vividly revealed as their agile bodies attempted to interpret and translate multilingualism and its related issues. 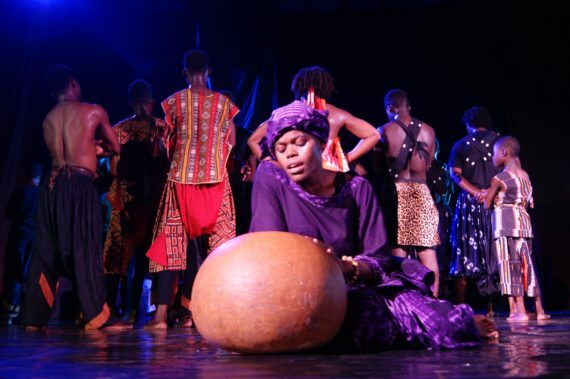 “This is a dance drama shaped by moods and motives, it is exciting to see young Ghanaian dancers physically and emotionally imbed themselves in the piece as they share the passion of the directors and choreographer”, added Adzo Adibie, a dancer in Accra. 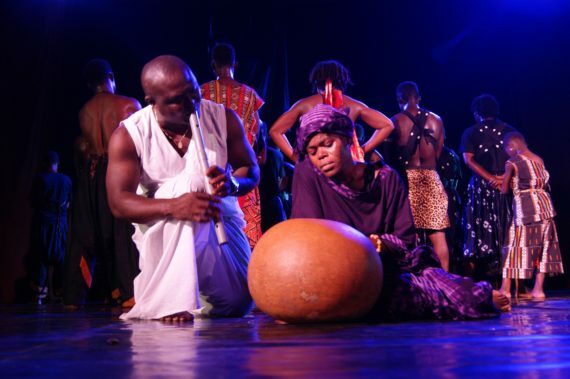 Funded by the UK Arts & Humanities Research Council (AHRC), the production equally made forays into Translating Cultures by studying the role of translation in the transmission, interpretation, transformation and sharing of languages, values, beliefs, histories and narratives. 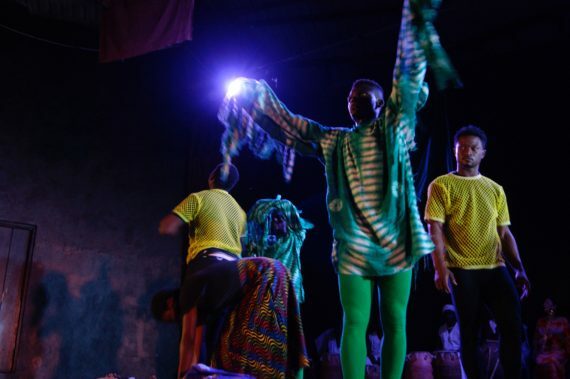 Other members of the team of researchers for the project include Scottish principal investigator Prof. Allison Phipps, German technical designer Kai Fischer, Ghanaian Costume designer Naa Dansua Torzdro and German applied theatre researcher Dr. Katja Frimberger among others.